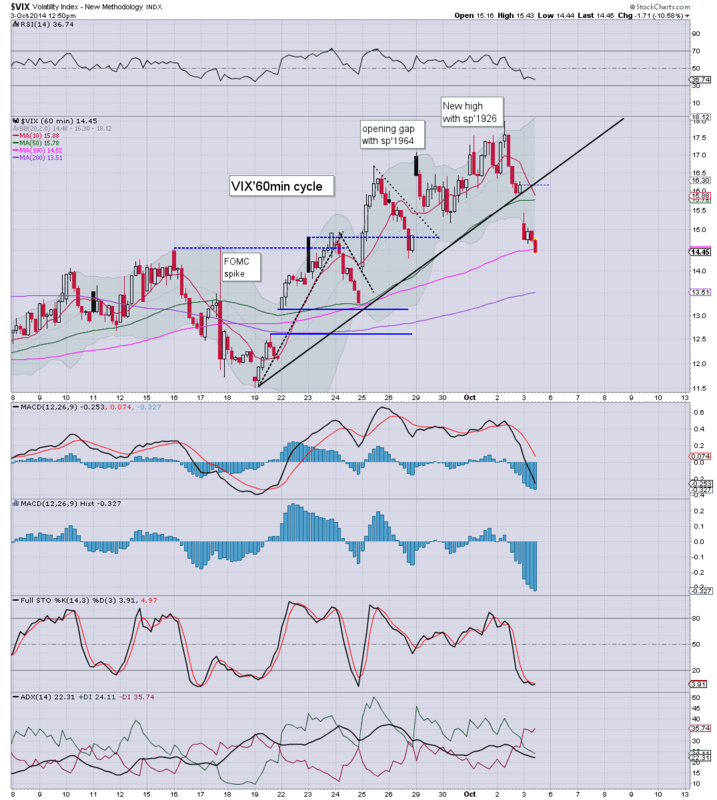 With US equities continuing to climb from the Thursday morning low, the VIX continued to slip, settling -10.0% @ 14.55. The near term outlook is uncertain, and is dependent upon whether the equity bulls can break and hold above sp'1970. For the equity bears, it was a very disappointing end to the week, with another failure to close above the important weekly 200MA. 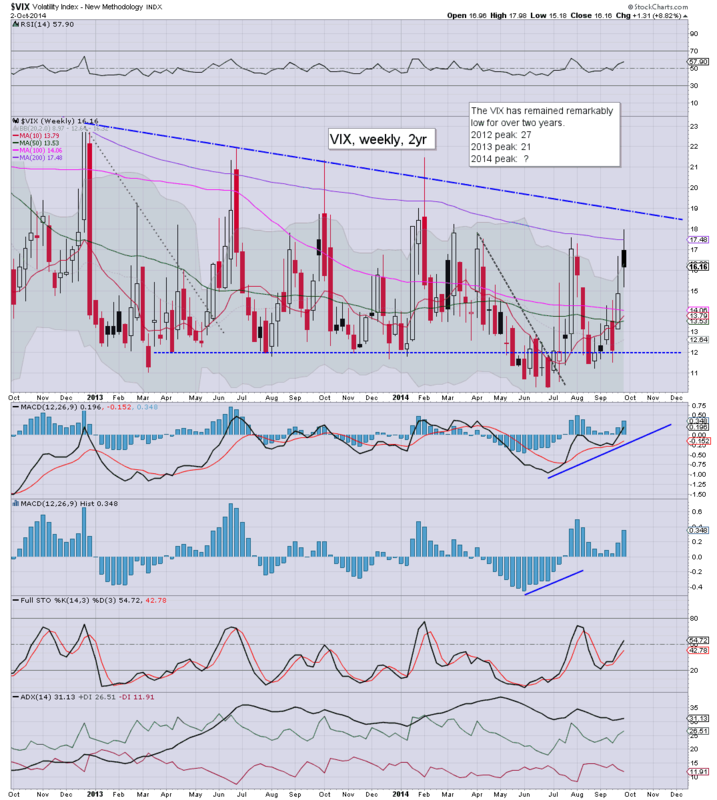 VIX 20s still remain a very difficult level to break above. US equities continued higher from the Thurs' low of sp'1926, settling +21pts @ 1967 (intra high 1970). The two leaders - Trans/R2K, closed higher by 2.1% and 0.8% respectively. With prices close to key resistance, near term outlook is uncertain. ...and another week in the world's most twisted casino comes to a close. Well, it was unquestionably a day for the bulls, and we're a clear 2% above the early Thursday low of sp'1926. 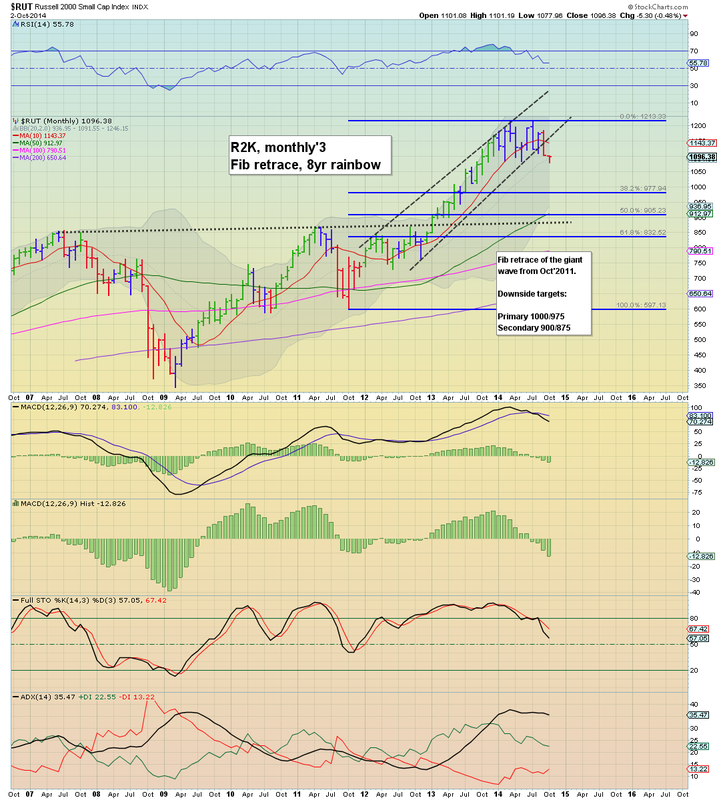 As for next week...being so close to resistance, its now very hard to say... but we did see net weekly declines on ALL indexes. US equities are holding around key resistance @ sp'1970. There are a great many aspects of further resistance in the 1970/75 zone, not least the 50 dma at 1974. Even if the bears manage to hold below 1970 into the close, the bulls will have another chance on Monday. Well, its the closing hour of the week, and frankly, this is an absolutely critical time. VIX is utterly failing to show any hint of a turn... and is almost a full 3pts below the weekly 200MA.. which was a 'reasonable' target just yesterday morning. 3.21pm.. STILL stuck around resistance. There is a minor break of trend... there is 'small' possibility of a little down wave to 1962/60 by the close. Regardless, a day for the bulls..and it makes for a LOT of uncertainty into next week. 3.40pm... tiresome day and a half.... I certainly didn't expect this... oh well. With a likely close in the sp'1965/70 zone... it will leave a lot of uncertainly across the weekend. ....it remains a VERY borderline situation. Remainder of the day will be critical.... but as noted.. even if the bears can break back into the 1950s..it doesn't mean the bulls can't push higher on Monday. For now, its a case of...holding on. 2.26pm... approaching typical turn time of 2.30pm... sp'1970.... sitting on the threshold. The equity bulls are on the edge of breaking the down trend... any daily close above sp'1970 will be more than definitive. VIX continues to melt lower, -10% in the mid 14s. Metals remain battered, Gold -$21, with Silver -1.1%. The bizarre thing of course is that we're now a mere 2.5% from breaking a new historic high. With 3 hours to go.... bears look on the edge of having to wave the white flag. I guess the more bold could launch an index short around here, with a stop in the 1970/75 zone, but really, seems little point right now. VIX sure hasn't even levelled out yet. Oil -1.4%, the break <$90 remains significant in my view. 1.07pm... sp'1969..... bears hold the line now...and crawl this a little lower into the close... or its.... over for this down wave. 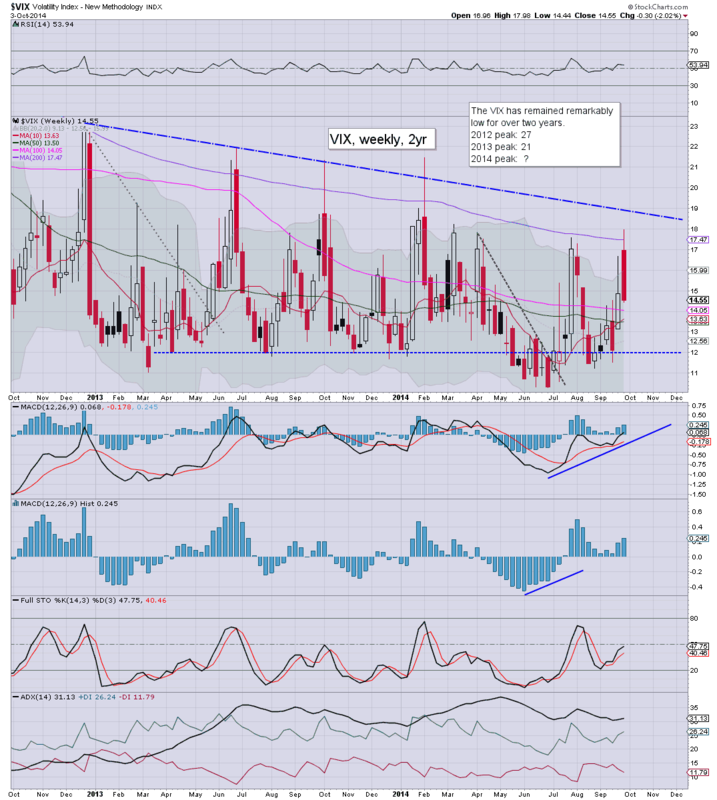 VIX still failing to show any decent turn. Even if we close in the 1950s though, I won't be particularly calmed. For the moment at least.. despite very significant gains from the Thursday morning low of sp'1926, the equity bulls have still not broken key resistance. For the bears, the line at the Friday close will be around 1968/66. Suffice to say, the gains remain a major problem for those on the short side... and ANY daily close in the 1970s.. whether today..or next week.. will break the down trend. Still 4 hrs for the bears to show up...and maybe some of the rats will sell into the weekend. Right now, I'd settle for any daily close in the 1955/50 zone, but that probably sounds overly optimistic right now. 12.17pm.. sp'1964... a mere 0.25% from breaking key resistance. 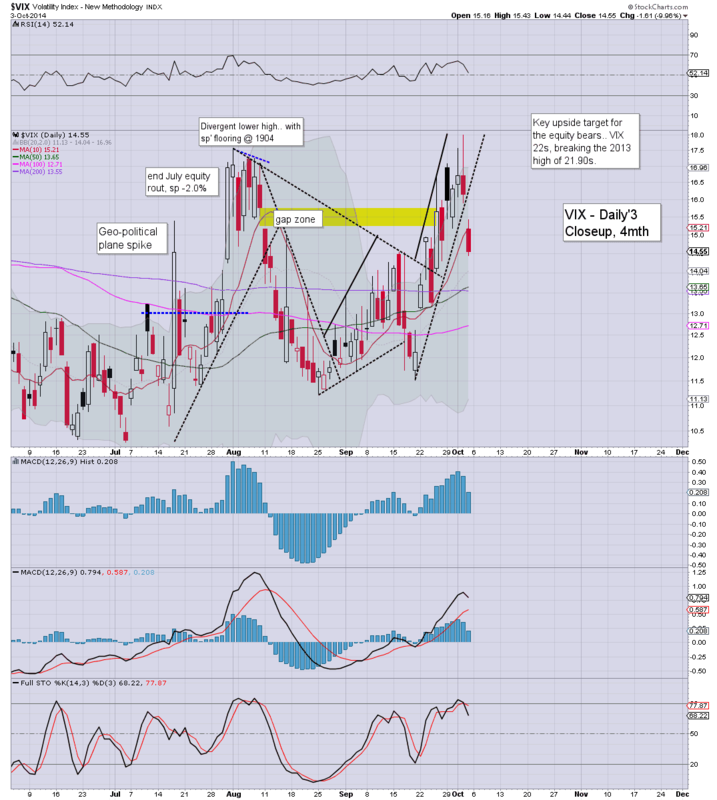 VIX showing no sign of a turn, -9% in the 14.60s. 11am update - equity bulls fail? Equities have climbed to a peak of sp'1966, but are starting to cool. The bigger weekly cycles remain outright bearish, along with monthly cycles that are also rolling over. Today is pretty much a case of which cycle do you trust more? So, despite the fact we're still holding gains in the low 1960s... the weekly 'rainbow' chart remains holding a red candle. For me, that is significant, and illustrates the underlying downward pressure right now. I need to shop... back in 20/30mins. 11.27am.. back from the shop...and I see indexes that remain stuck.. just under resistance. It remains a VERY borderline situation. Certainly, bull maniacs don't need 1970+ today.. so there will very likely be uncertainty into next Monday..unless we manage to claw back to flat by the close. VIX -8% in the 14s.. is not exactly inspiring right now. Well, this is certainly a rough start to the day for those holding short overnight. 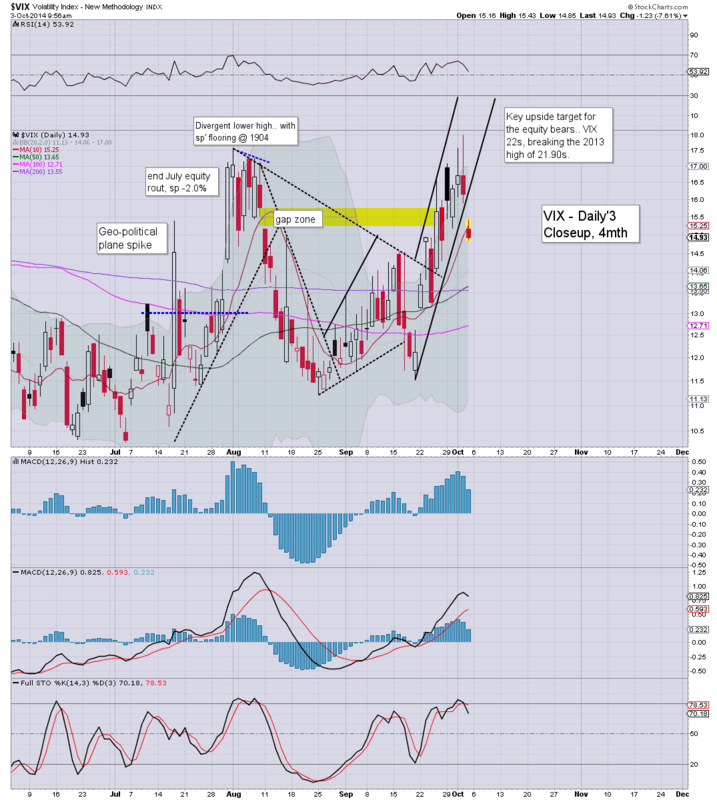 For the bears, the VIX is the even bigger concern... back in the 14s. 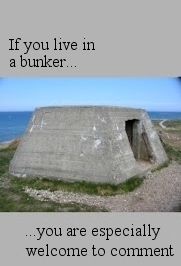 Seriously, is that it? Are we really going to just climb from here...to new highs? 'most' of the gains had better be reversed today, or it will be a lousy end to the week. 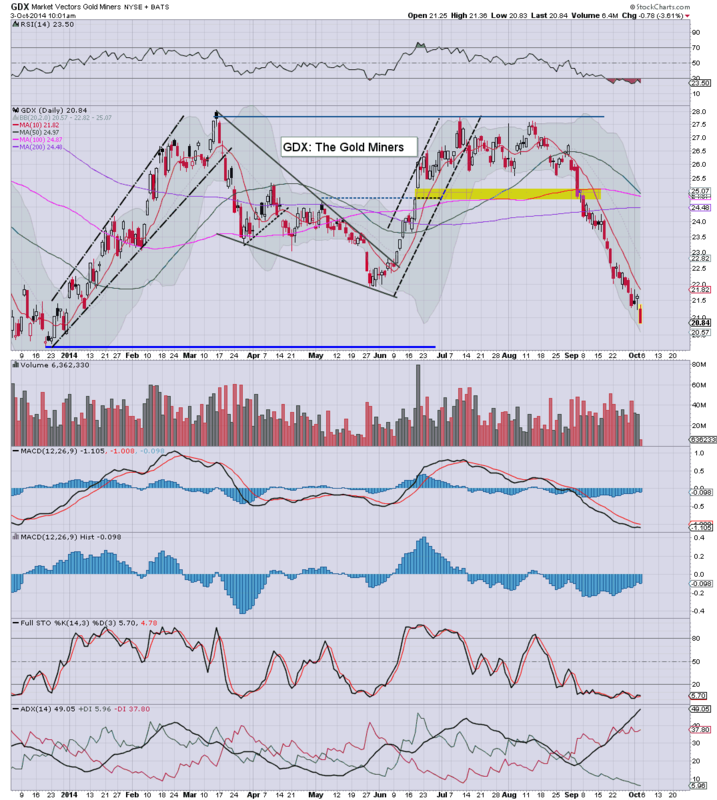 GDX -3.7%.... set to break the 2013 lows. 10.06am.. Declining resistance... @ sp'1970.... if we break that... bulls will be on the rampage. 10.08am... Either this madness STOPS around 1970.... this morning.... or its white flag time. 10.18am.. sp'1964.... cooling a touch..but really, this is crazy. Someone pass me a transquiliser! 10.34am.. Indexes continuing to slowly cool... but really... need to see 1950s again soon...this is too close for comfort. If this jobs jump does entirely fail....i'll laugh by end of day.. but still..this is a tough morning. So.. we're due to open higher, but that could easily flip in early morning, just as happened yesterday. The daily/weekly trends remain very bearish, and it would make ZERO sense for sp'1926 to be a key cycle floor. Lately though, he has been regularly wrong. Regardless... a long day ahead. The most notable aspect of today was the huge technical break in the R2K, losing the 1080 floor that has held across the year. With the loss of 1080, the door is now wide open to the giant 1000 threshold, with a real 'doomer' case of the mid/low 900s within a few months. When you consider the giant monthly chart, this year has seen a clear double top of 1212/1213, and now that we've broken under 1080... there is ZERO reason why we won't at least continue lower this autumn to 1000. 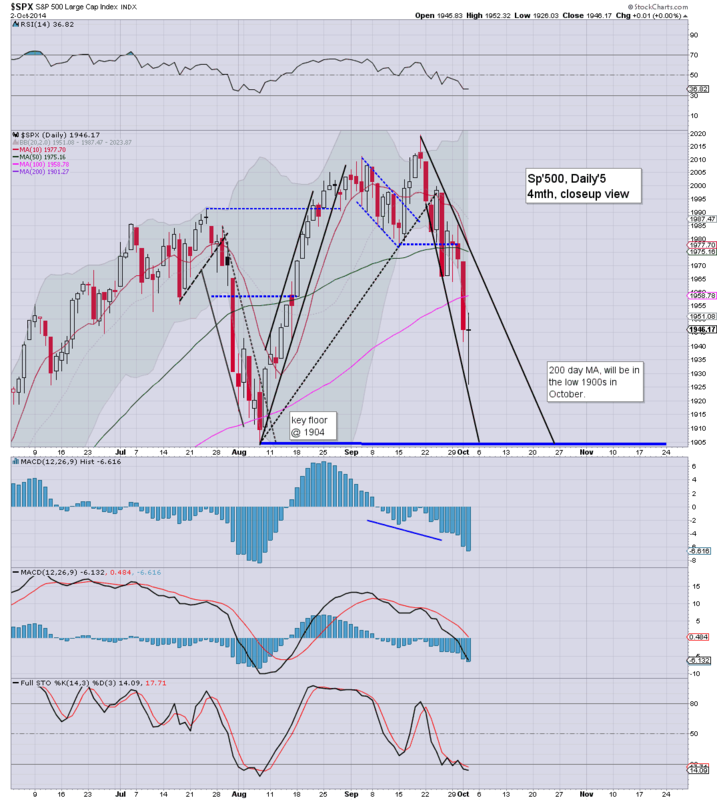 Meanwhile, the sp'500 is continuing to hold a red candle on the weekly 'rainbow' chart. 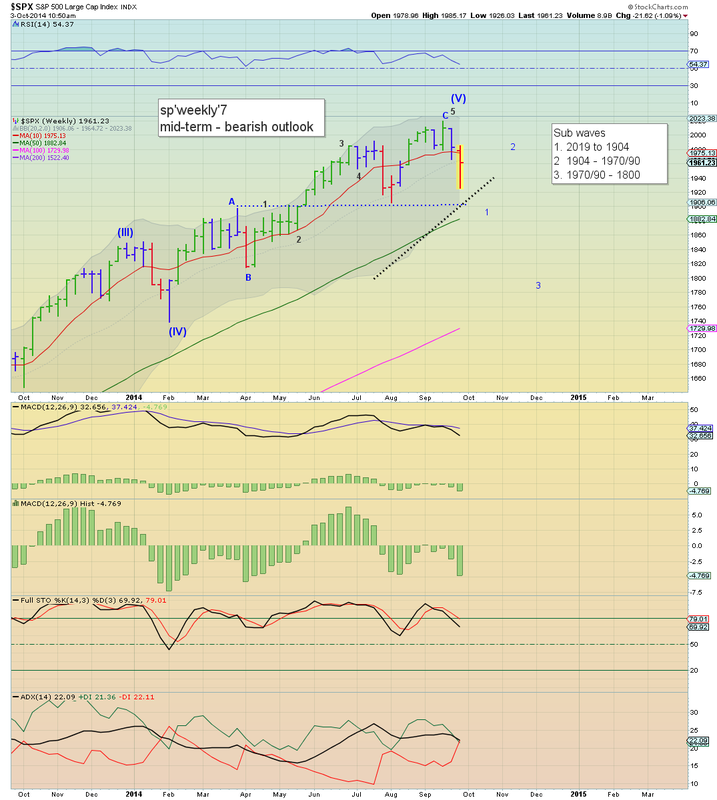 Certainly, the outlook is bearish into next week, and it looks like we will battle lower to hit the lower weekly bollinger, along with the 200 dma, and the August low of sp'1904. Tomorrow will see a quartet of data.... monthly jobs, intl. trade, and ISM/PMI service sector. 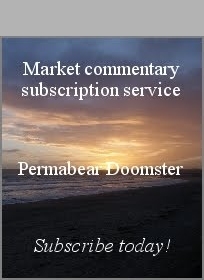 With the Wednesday downside, and yet another lower low this morning, I waited for a bounce.. and re-shorted from sp'1948. Considering the VIX had cooled almost a full 2pts from the high of 17.98, I am pretty content with my entry. The issue now is how will the market open tomorrow? With the jobs data, it is tricky to say, but certainly, best case would be sp'1930/25 zone. By the Friday close, it is possible we'll be trading around 1915... which would likely equate to VIX 19s. 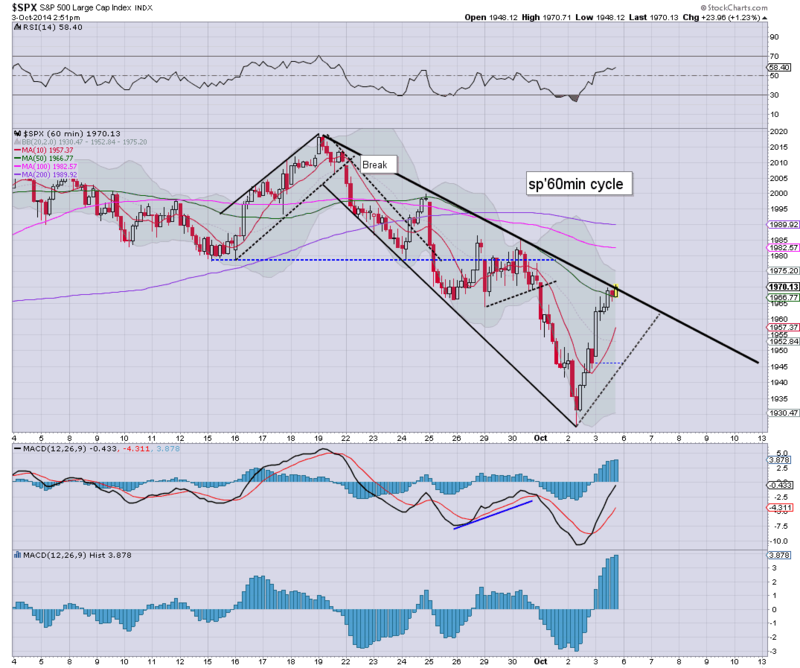 US indexes closed somewhat mixed, sp'500 settling u/c @ 1946 (intra range 1926/52). The two leaders - Trans/R2K, settled higher by 0.8% and 1.0% respectively. 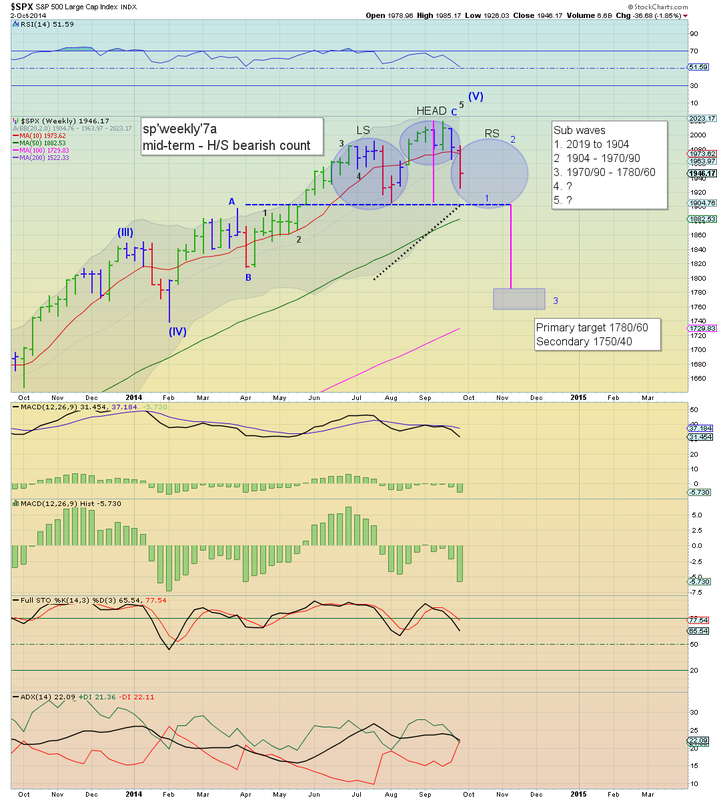 Near term outlook remains broadly bearish, down to the August low of sp'1904. 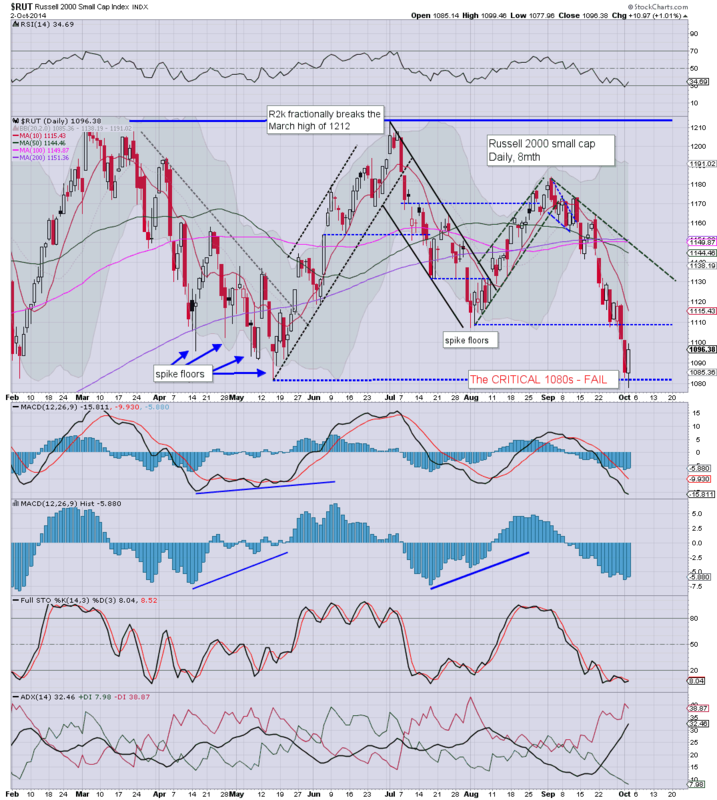 The break of the R2K below 1080 is a VERY significant issue. It is a huge technical event, and a major achievement for those equity bears seeking a break of a floor that has held across the year. 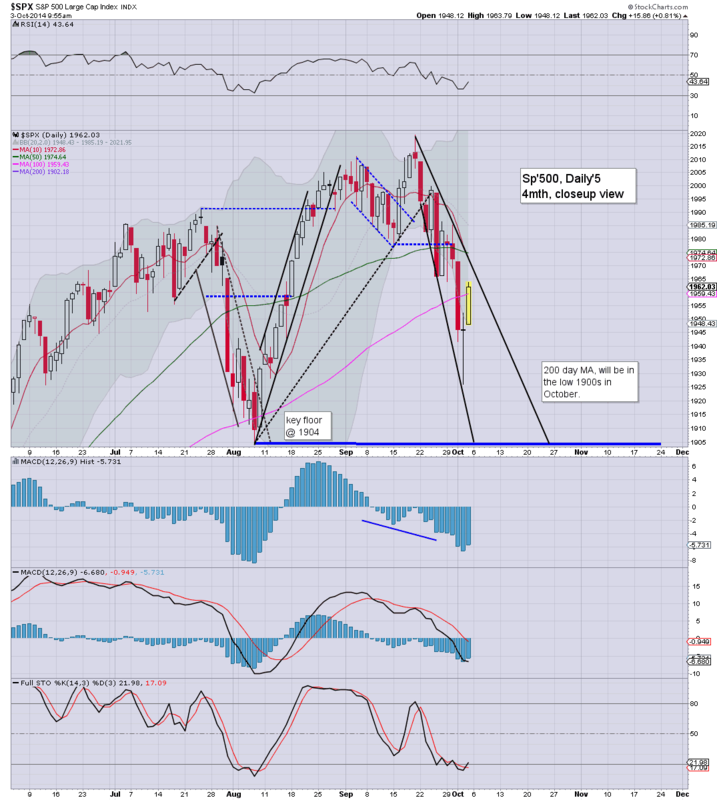 As for the sp'500, despite closing flat, today was merely another lower high.. and a lower low. Broader trend remains very weak, and the sp'1904 low looks set to be tested early next week.